Search engines play a major part in online user experience. Essentially, it is the search engines and their algorithms that decide which content to show in the result pages, and in which order. What this means is that bloggers have been looking for tactics and approaches that will help them create content that will improve their visibility and enable them to reach more online users. Among many strategies to help them achieve this goal, blogger outreach and guest blogging are strategies that have shown great potential and enabled many blogs to expand their reach tremendously. Blogger outreach is a type of marketing campaign where you reach out to other bloggers to suggest a specific collaboration. For a business, blogging outreach is an opportunity to reach bloggers with a proposal for collaboration. The goals can be promoting a product or service, sending out free examples hoping to get reviews, etc. The goal of blogger outreach is to increase exposure. Working with bloggers enables you to reach their community and people who still might not have heard of your brand. It also gives you a chance to increase trust, because the new audience will get a recommendation from a person they follow. Successful bloggers are influencers, which means they have the power to influence their followers and their buying habits. Expanding reach – Being promoted by an influential blogger, you get instant access to blogger’s community and followers. This way, you expand the online reach, as more people will hear about you. Increase brand interest – Regardless if people you are targeting have never heard of your brand, or they have, but still have not made a purchase, getting a recommendation from a blogger will undoubtedly spark some interest in your brand. Bloggers enjoy trust from their audience, and this audience is certainly going to be curious about the product they have chosen to feature. Product promotion – Blogger outreach campaign is ideal for introducing new products or promoting a particular product from the existing range. In this case, the focus of your campaign is a particular product which will probably be featured on a single product page, which is promoted. Boost sales – As you generate new visits and get more people looking you up, you will notice the sales going up as well. The main aspect you should focus on here is to have landing pages that convert well, as most visitors will arrive through the link posted by the blogger you are collaborating with. Guest blogging is another method for increasing traffic and exposure. Unlike blogger outreach, a method which is often used by companies and focused on collaborating, guest blogging is focused on bloggers and content creation. If you are a guest blogger, you create content which will be shared on another blog or website, instead of yours. You will be credited for this work as the web page where the guest blog is posted will contain your name as the author, and probably a short bio section with a link to your blog. If you decide this is the strategy you wish to pursue, if you want to invite guest bloggers to create content for your blog, here is how the process works. Start by identifying the influencers who would be a perfect match for your blog. This means that they have to be able to offer content that is really relevant to your blog. Explore their influence in the online world and to which extent you can benefit from working with such influencers. Take into account the number of social followers, the number of blog visitors (if available), the number of subscribers, etc. to assess how influential a blogger is and to compare several influencers. Inviting guest bloggers is usually a part of a particular campaign. You want to set up goals, in terms of how many guest bloggers you want to accept. More importantly, you want to set up goals regarding the content they produce. For example, you define planned metrics about the post performance, such as social media shares, inbound links, etc. Evaluating the post performance and comparing the planned metrics with the results is going to help you identify the guest bloggers you want to work with again, as well as those collaborations you might want to skip next time the opportunity comes up. When you know who you want to reach out to, create an offer they would be interested in. Use a personalized approach to create a custom message that is designed for a specific influencer. Sometimes a link back to their blog is good enough reason for them to accept guest blogging opportunity, but some bloggers (usually those with a greater following and thus more influence) might require this to be a paid post. When you find influencers you want to have as guest bloggers, you can start building a relationship with them. Start following them on social media, comment on their blog post or offer feedback. The goal of this approach is to get to know the influencer first and then increase the chance of them accepting the offer. You could also skip this part and go straight to getting in touch. All of this is a foundation for discovering and leveraging guest blogging. Once you do the research, you will have more success at finding new opportunities to submit a guest blog. Even though a guest blog will be published on a third-party blog, it still has to be your own work, something that your audience can recognize. Sticking to your niche enables you to create influence and authority for a specific topic, and this is something that reflects on guest blogging as well. With guest blogging, you are trying to promote your content to the new audience, but it is essential that they are interested in the content you have to offer. This is why it is crucial that guest blogging is focused on your niche or something that is closely related because this ensures that the target group will be the same. Quality content should consistently be your goal. It does not matter where the content will be published, whether it will be featured on the homepage or promoted through an email campaign. 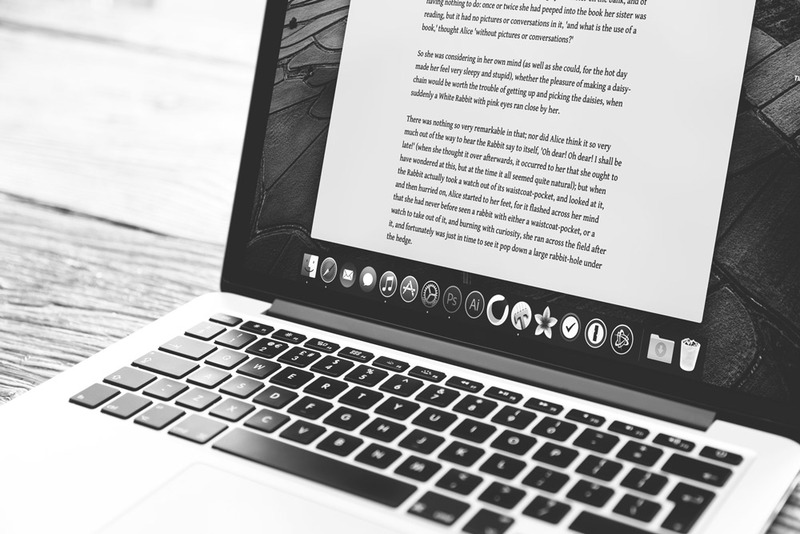 Each blog post should deserve your full attention and the ability to deliver your best work. This is the way to build authority in the online world. Eventually, online readers will start to identify quality with your blog, as that is what they have been accustomed to see and expect from you. Building influence and authority through exceptional quality will help you with being accepted as a guest blogger later on. If you want to explore opportunities these two tactics provide, you could join communities which feature these offers and an opportunity for bloggers and companies to connect. MyBlogGuest – This is a free community offering blog owners and guest bloggers access to a network that connects them and helps them to increase exposure. BlogDash – Specialized in blogger outreach, BlogDash is a platform that connects businesses with over 200,000 bloggers, helping them to build a relationship and work together on different projects. GroupHigh – With blog search engine, list building, and segment tools, this platform provides an opportunity to find bloggers, influencers, and new content. PostJoint – Connecting marketers who are trying to identify quality blogs, improve their content marketing and reach the new audience, with bloggers who offer fresh content, and are in pursue of a content monetization strategy, this platform represents an easy way for them to meet online. Blog Engage – Blog Engage is a blogging community where bloggers can submit their blog posts to increase exposure and gain traffic. Building relationships with other bloggers on the platform helps with reaching more people inside the community. There are groups for the members with common interests.